In September, we announced a brand new eCDN solution for global businesses wishing to harness video in their internal communications: Streamroot DNA Enterprise. Today we are pleased to announce our first set of eCDN-specific features for this unique enterprise offering. Streamroot DNA Enterprise is a peer-to-peer eCDN that makes large-scale streaming within the enterprise possible without overburdening your network. Our solution harnesses the secure WebRTC standard for video delivery. 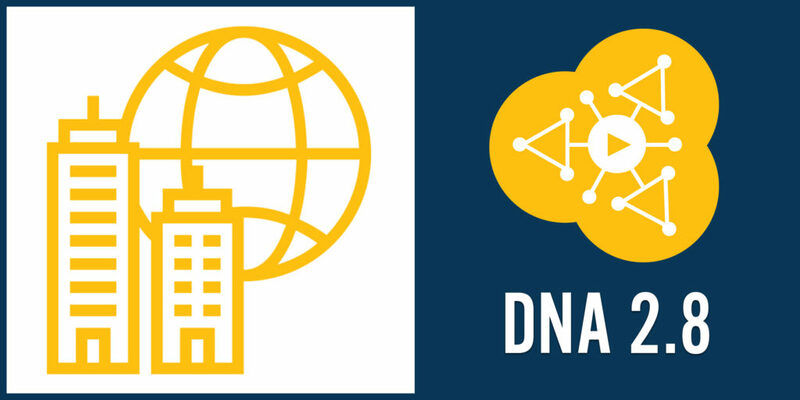 Compared to other solutions on the market, DNA Enterprise is extremely lightweight for both your viewers and your IT teams. On the viewer side, our solution works directly within the employee’s browser and requires no plugins or extensions, making it completely invisible. Secondly, Streamroot requires no changes to your existing video workflow, and no additional hardware provisioning or maintenance for your IT teams. Running over WebRTC Data Channels, Streamroot DNA Enterprise is compatible with all modern browsers that support WebRTC, including the standard and enterprise versions of Chrome, Firefox, Opera and Safari. The solution is available for both desktop workstations and on mobile apps for on-the-go employees. Streamroot delivery can be integrated into the proprietary or open-source video player of your choice. We have turnkey integrations with enterprise video platforms like Livestream, as well as other providers (Bitmovin, JW Player and Theoplayer) and open-source players including hls.js, Video.js, dash.js and Shakaplayer. For a full list of plug-and-play integrations, see our documentation. Companies using browsers that do not support the WebRTC protocol – notably Internet Explorer and Edge – can still enjoy the benefits of Streamroot DNA Enterprise. With our desktop app feature, you can easily create an application for desktops for viewers to watch your streaming event. 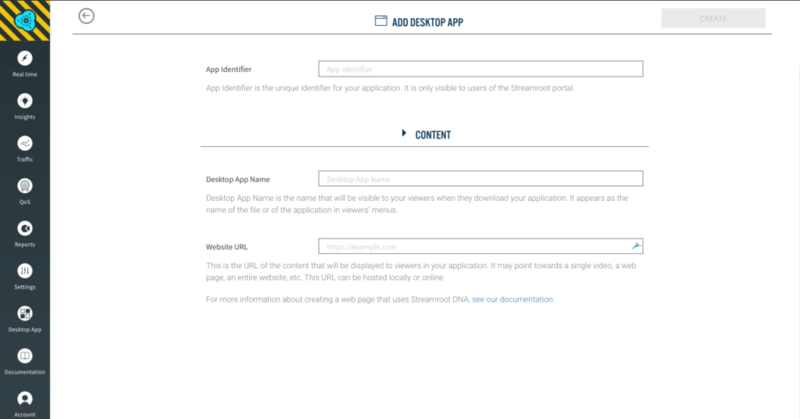 This app is quick and easy to configure directly in the Desktop App section of your Streamroot dashboard. Simply set up a web page with your video content and use the URL to create your desktop app. You can then share a downloadable link to your app with your employees, or install it on their workstations using your remote deployment system. Streamroot’s peer-to-peer approach to enterprise content delivery has been specifically designed to work within the complexities of corporate networks. At once lightweight and powerful, Streamroot harnesses idle bandwidth and uses micro-caching on user devices to effectively distribute content within a building, across a site or to the entire company. Streamroot distributes content by first gauging the idle resources available on each device within the delivery pool. It then selects a subset of devices with the most delivery capacity to supply the bulk of the content within the network. In this way, we ensure both optimal performance on each workstation, as well as sufficient delivery sources for the video content. Thanks to our powerful algorithms, Streamroot ensures that 80 to 98% of your videos are delivered not from your central servers, but from local micro-caching within the mesh network of devices watching the video content. Only allow exchanges between users within the same local area network: This option is easy to configure by your IT teams and can be applied directly within your Streamroot dashboard in the Properties section. Group together a series of local area networks within which video data can be sourced: Some sites, buildings and even floors may have multiple local area networks. With Streamroot, you can easily group subnets that are allowed to exchange data by pushing a list of IP ranges to our Subnets API. We are thrilled to share these features with you, as well as with our partners and customers that are using Streamroot DNA Enterprise for their video trainings, all-hands meetings and town halls. If your company is looking for a flexible, scalable eCDN for its video communications, get started with DNA Enterprise today via the form below.